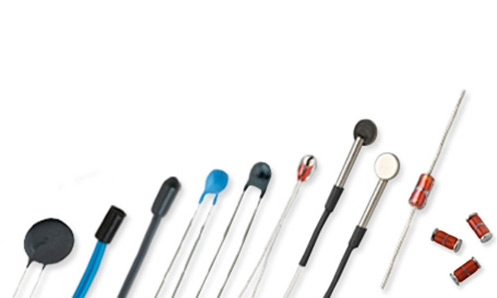 Platinum Resistance Temperature Detectors (Pt-RTDs) are temperature sensors that have a positive, predictable and nearly linear change in resistance when subjected to a corresponding change in their body temperature. Depositing a thin Platinum film on a high purity aluminum oxide substrate produces thin film platinum resistance temperature detector elements. Etching a pattern onto the RTD element then creates an electrical circuit. The electrical circuit is subsequently trimmed to the desired resistance value. Lead wires are then attached and a coating is applied to protect the platinum film and lead wire connections. The main feature of a Pt-RTD element is a nearly linear relationship between its body temperature and its resistance value. It’s the key characteristic needed to precisely measure temperature over a very wide range of operating temperatures. Platinum RTDs will maintain a significant and uniform rate of range of resistance vs. temperature over an extended operating temperature range and that is ideal for digital measurement and control applications. In order to measure temperature, the RTD sensor must be connected to monitoring or control equipment. When in use, a small current is passed through the sensor. The voltage across it is regulated by the resistance of the RTD and the voltage drop across the RTD is then converted to temperature. Minimizing the current flowing through resistance temperature detectors will prevent self-heating. In two-wire RTDs, care should also be taken to compensate for the extension lead wire resistance. Acquired by Littelfuse in 2017, U.S. Sensor Corp.® provides thin film Pt-RTD elements and thin film PT-RTD assemblies in resistance values such as 100Ω, 500Ω and 1000Ω at 0°C with TCRs (temperature coefficient of resistance) of 3750 and 3850 PPM/°C. Resistance tolerances include 0.06%, 0.12%, 0.24%, and 0.48%. Littelfuse thin film platinum RTD sensor assemblies are capable of operation from below -50°C to well above +500°C and they are available in a variety of thermowell sizes and materials as well as lead wire options. Please contact Littelfuse application engineering personnel at sales.ussensor@littelfuse.com to assist with the design of an RTD sensor assembly for your unique application.